I'm finally able to see the light at the end of the pumpkin tunnel! I have about a week's worth of items left, and then I'll be done pumpkin items until 2015! Inside the box, the individually wrapped bars have a similar design, but I found this one to be a lot easier to read. Maybe the problem with the box is that it's too busy, because this is the exact same logo, and the white background makes a HUGE difference in readability. When compared to my mini fig bars, the exterior for this Trader Joe's one is a lot drier and less flavorful. (I think those mini ones have spices mixed into the actual dough as well as the filling, but I could be wrong.) Other than that, the fillings for both products were nearly identical. 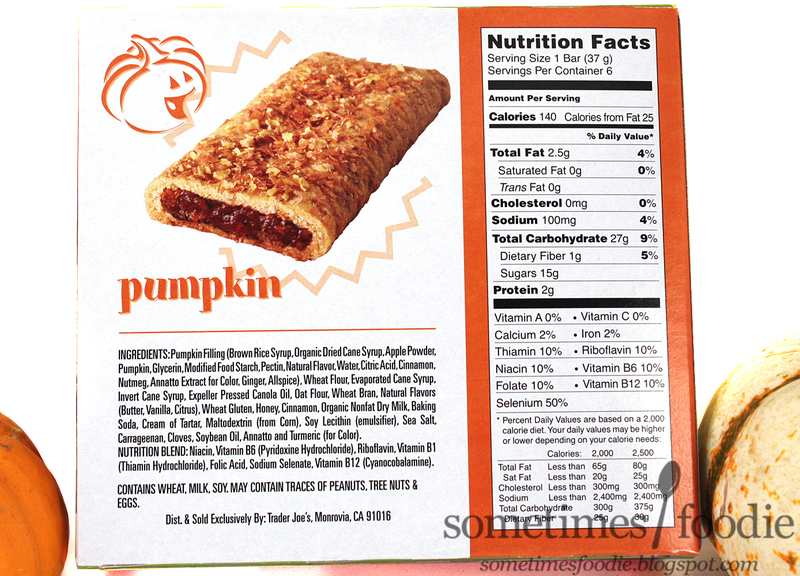 The insides of this bar tasted sweet and apple-y, which is the usually go-to filler fruit, and there was a decent amount of pumpkin spice mixed in. 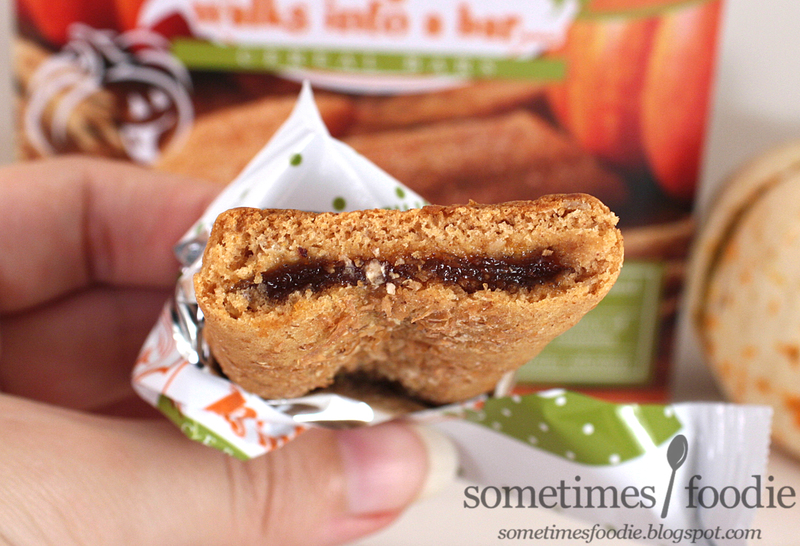 Out of the two products, I actually like my little fig-based bars more. 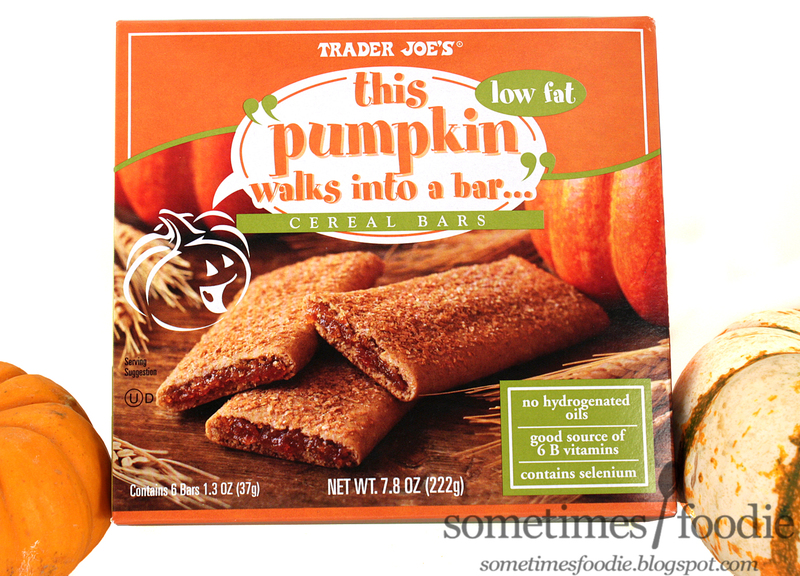 They are the perfect size to be tossed into my purse, and they are my favorite on-the-go breakfast item. 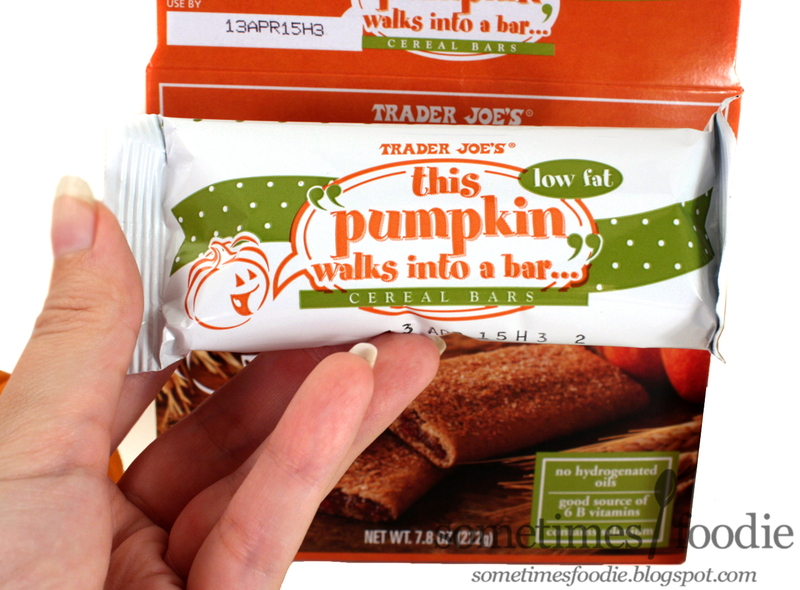 The Trader Joe's bar is nice, and the size is much more suitable for snacking or lunch, but the flavoring of the mini bar I reviewed was just better in my opinion. On a Pumpkin Scale of 1-5 (5 being the most pumpkin-y) I’d give this a 3. The filling is a bit more apple flavored than pumpkin, but the spice blend is well done and none of the spices really overpower one another. 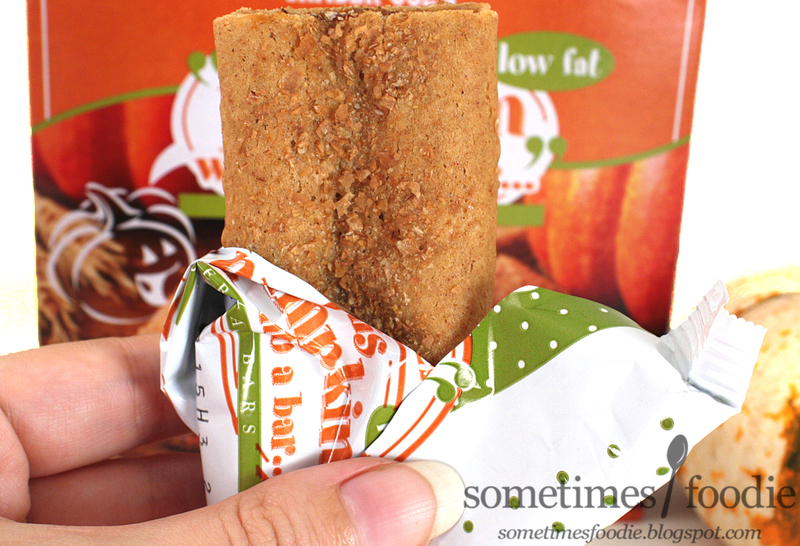 To me, this is more of a yummy fall-based-bar than a straight up pumpkin one.